Traumatic brain injury (TBI) or other central nervous system (including spinal cord) injuries can lead to diminished or even lost physical and mental functioning. These injuries necessitate extensive medical testing, treatments and long-term support, sometimes even for the rest of one's life. Head trauma is the single most common cause of death of young Canadians, with TBI being the single leading cause of long-term impairment. TBI and spinal cord injuries can be very unpredictable and serious, which necessitates the submission of a successful injury claim that truly reflects the deserving compensation difficult. Medical diagnoses can be imprecise, making it difficult to realize a true representation of a victim's needs and thus the amount of compensation to which they are entitled. Spinal cord injuries that result from accidents can leave the victim with para/quadriplegia that has extremely devastating emotional and financial effects on both victims and their loved ones. The victim may be required to change their life, or modify their home, in order to compensate for their injuries (from which they may never recover) or to add implementations to improve their mobility and independence in other activities of daily living. Having an experienced personal injury lawyer is crucial when dealing with a spinal cord or traumatic brain injury. Medical costs, loss of wages and future care costs must all be factored in to determine the appropriate amount of compensation to which the victim is entitled. Our expert lawyers at WPC Law have the experience and expertise required to successfully pursue traumatic brain injury and spinal cord injury claims and obtain the maximum compensation for victims and their families. Our lawyers have represented brain and spinal cord injury victims from all over the province, recovering millions of dollars in compensation for victims and their families. If you or a loved one has received a TBI or spinal cord injury, contact WPC Law for a free consultation now. WPC Law has successfully represented many Ontario victims of such injuries and has recovered millions of dollars in compensation. Our expert team of lawyers will investigate the facts and ensure that justice is served. 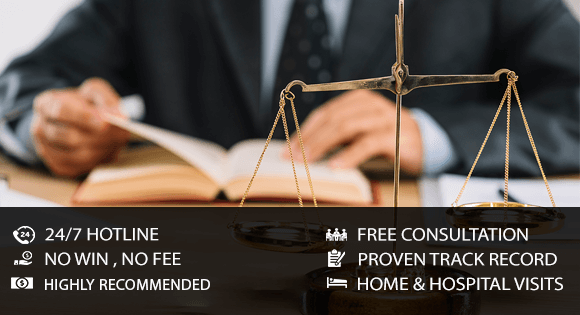 Since we work on a contingency basis, our clients do not pay a cent until their case is won. Please contact WPC Law now, and discover what an experienced personal injury lawyer can do for you or a loved one.